PQ Blog: The Conservative Party are at the brink of a civil war. What might happen next? The Conservative Party are at the brink of a civil war. What might happen next? Theresa May’s announcement that a Brexit plan had been agreed by the cabinet at Chequers sparked a week of turmoil in British politics. The plan set out a vision of the UK’s future relations with the EU but its most controversial element was a proposed policy on customs that would see Britain remain partially aligned with EU rules. The subsequent resignations of the Brexit secretary, David Davis, and the foreign secretary, Boris Johnson have pushed the Conservative Party to the brink of a civil war. So, what is likely to happen? The context for recent events lies in the 2017 general election. The hung parliament deprived May’s government of its majority and left it reliant on a confidence-and-supply agreement with the Democratic Unionist Party. Despite that, it would take only a handful of pro-EU Tory rebels to side with the opposition to defeat the government. That is precisely what happened over the ‘meaningful vote’ amendment to the Withdrawal Bill that recently came into law. At every step, the government has had to seek compromises with Remainers to avoid defeat. May has had no alternative but to water down the position she adopted in her Lancaster House speech of January 2017, where she declared that Britain would leave the customs union and the single market. This position, described by critics as one of ‘hard Brexit’, could have been pushed through if the government enjoyed a healthy parliamentary majority. However, it has been almost impossible to follow through. The Chequers agreement adopted a policy that many Leavers characterised as ‘soft Brexit’ because it limits the extent of the UK’s break with the EU. May insisted that it was the most she could get through parliament: any harder policy would have been defeated and parliament would have voted to remain in the customs union. May’s allies have hinted that they would be prepared to rely on Labour votes to push any final soft Brexit deal with the EU through parliament. Leaving aside whether Labour would want to help out the prime minister, such an aggressive move would risk an historic split in the Conservative Party. Despite the shock of the election result, May remained largely unchallenged by her party for a year. No one was sure who would win a leadership contest to replace her and so each faction in the party was content to leave her in post knowing that a prime minister without much authority would be forced to listen to her colleagues. That has now changed with the Chequers agreement. The Leave faction congregated around Jacob Rees-Mogg and the European Research Group (ERG) of Tory backbenchers that he chairs has decided that May can no longer be trusted. They complain that the Chequers policy is merely a starting point and is likely to be further eroded during negotiations with the EU. Leavers appear ready to use guerrilla tactics to force a change of policy – and perhaps a change of prime minister. However, there are dangers for all concerned. The rules for removing a Conservative leader stipulate that 15 per cent of Tory MPs must write to the chairman of the backbench 1922 committee requesting a confidence vote. That currently amounts to 48 MPs. Once that threshold has been reached, a secret ballot of Tory MPs is organised and the leader needs to win a simple majority of those voting to remain in post. If all 316 Tory MPs voted, that would mean the winning line was 159. There appears little doubt that the Leavers could generate 48 signatures for a confidence vote but actually winning it would be much more difficult. If May lost the ballot, she would be obliged to resign and a leadership contest would be held (she would not be permitted to participate). A series of parliamentary ballots would whittle the number of candidates down to two. These would go forward to a ballot of the party’s 100,000, mainly pro-Brexit members. 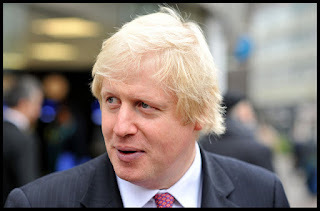 Many Remainers and pragmatic Leavers – including those who chose not to resign from the cabinet – might worry that either Johnson or Rees-Mogg could end up as leader. For that reason, they could be willing to support May in the confidence vote. If May did win the ballot, party rules prevent any further confidence vote within the following 12 months. It is imperative for the prime minister’s opponents, therefore, that if they attempt to remove her, they are successful first time. There is no guarantee of that at the moment. That is not to say May is safe. Leadership challenges can take on a life of their own. Even if she won a confidence vote, she might end up badly damaged – a narrow victory would reveal that half the party had no confidence in its leader. She might yet be prevailed upon to resign and make way for someone else. The new home secretary, Sajid Javid, is quickly emerging as a contender: a recent poll of Conservative members showed he would defeat most other candidates in a leadership contest. As a Remainer who has moved closer to the Brexiteers, Javid could claim to unite the party. That would not, however, alter the parliamentary arithmetic. In the absence of another general election and a parliamentary majority, any prime minister would find it difficult to push through a harder Brexit. But an election could easily produce a Labour-led government, almost guaranteeing a softer Brexit. The Brexiteers may decide to hold off for the time being and try other tactics. To that end, they have proposed four wrecking amendments to the trade bill currently going through parliament to keep up the pressure. But this situation is highly unstable. Some thought after the 2016 referendum that the Conservatives had resolved their split over Europe. In fact, there may be worse to come. Tom Quinn is Senior Lecturer in Government, University of Essex.